Awww... they looked so good together. ...which, you know, is a vital reason to stay together. Aw this one makes me sad. 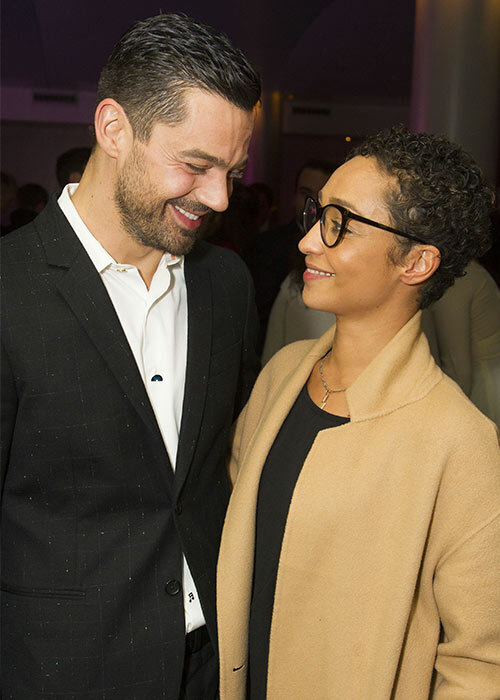 Their chemistry on Preacher is off the charts. greysfang, twitchy2.0, Mrs P and 1 others like this. I'm kinda bummed too. They are great together, but she is by far the better actor in that relationship. I think maybe she is outgrowing him. gas_chick, lindsaywhit, Mrs P and 1 others like this. I think a lot of Hollywood splits occur soon after one gets a major award or nomination while the other does not. This better not affect Preacher. gas_chick, Mrs P and Lalasnake like this. Aw, I like them both and I liked him with Amanda Seyfried too. I saw him in a play a couple of years ago where he took the trouble to address the audience and explain the play as well. Everyone liked him for doing that.